If you don’t have a password click here for instructions. click here for directions to renew. Have you joined or renewed your membership? Please log-in to renew online, call 530-902-6009 to process a credit card payment. Mail payments to CNGA, PO Box 72405, Davis CA 95617. Click here to see Membership Levels & Benefits. California grasslands are among the most endangered ecosystems in the United States. Birds and insects that rely on grasslands are among the fastest declining species in North America. Join us in protecting California's valuable grassland habitat. Support CNGA's Programs through Big Day of Giving! Big Day of Giving (BDOG) on May 2nd, is a 24-hour online giving challenge sponsored by the Sacramento Region Community Foundation to help raise much needed unrestricted funds for nonprofits and shine a spotlight on the work of local organizations. Would you like to make a matching gift challenge? Matching gifts can encourage others to join in, and what’s more, matching gifts are not subject to BDOG transaction fees! Please contact us if you are interested in challenging others to give! Would you like to raise funds for CNGA yourself? If you are feeling especially enthusiastic about supporting CNGA, you can start your own campaign on our BDOG web page. Click the "Fundraise" button at the top or click the large blue & white plus sign lower on the page and fill out the forms. Here is how I made my campaign. The deadline to create a campaign is April 30. Please join us for a day of field tours, expert talks, networking, and beautiful scenery at Hedgerow Farms Inc. in Winters, CA. Flyer available here - Please share with your friends and colleagues. Walking tours to view Hedgerow Farms’ seed barn, native plant nursery, seed cleaning mill, production fields, and demonstration gardens. Driving tours in Hedgerow Farms’ native grass and wildflower production fields and habitat areas. We hope you can join us for this fantastic event! Spaces are limited so please do not mail registrations without registering on-line first! This one-day workshop will provide a comprehensive overview of vegetation monitoring in the context of grassland habitats. During the morning session, workshop instructors will give indoor presentations on grassland ecosystems, goals and objectives for monitoring, sampling designs and in-field methods, data analysis, and use of results to inform management actions. In the afternoon, we’ll take our newly acquired skills and techniques into the field at Lime Ridge Open Space. The workshop will cover a variety of vegetation monitoring methods including: point-intercept sampling, line-intercept sampling, belt transect sampling, nested frequency sampling, relevé, and photo point monitoring. 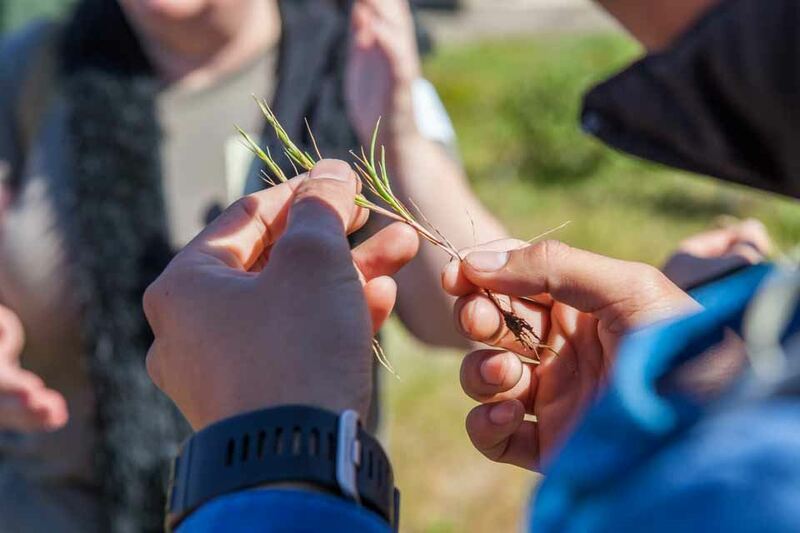 Michele Hammond– Botanist for the East Bay Regional Park District in Alameda and Contra Costa Counties; has studied California grasslands and their ecology and management for the past 20 years. CNGA board member. Felix Ratcliff– Rangeland Ecologist at LD Ford Rangeland Conservation Science, and Postdoctoral Scholar at UC Berkeley. CNGA board member. Includes: Lunch and comprehensive workshop materials. Afternoon Field Session: Wear field gear and prepare for heat in the afternoon field session. Bring water, sunhat, sunscreen, sturdy shoes, etc. Download a flyer here and distribute to your friends! Familiarize yourself with grass-specific terminology. 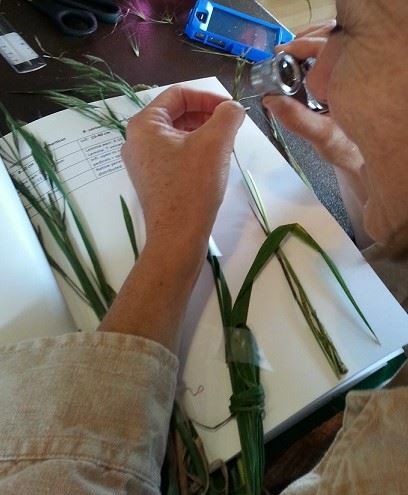 Identify grasses by using The Jepson Manual, 2nd ed. dichotomous key. Recognize the basic groups and common species. Build a “collection” of identified samples. A class syllabus, 10x hand lenses, and basic keys from the Jepson Manual website provided. An afternoon field tour on Pepperwood lands to see grasses in the field will round out this full day of learning. Morning coffee and snacks are included. 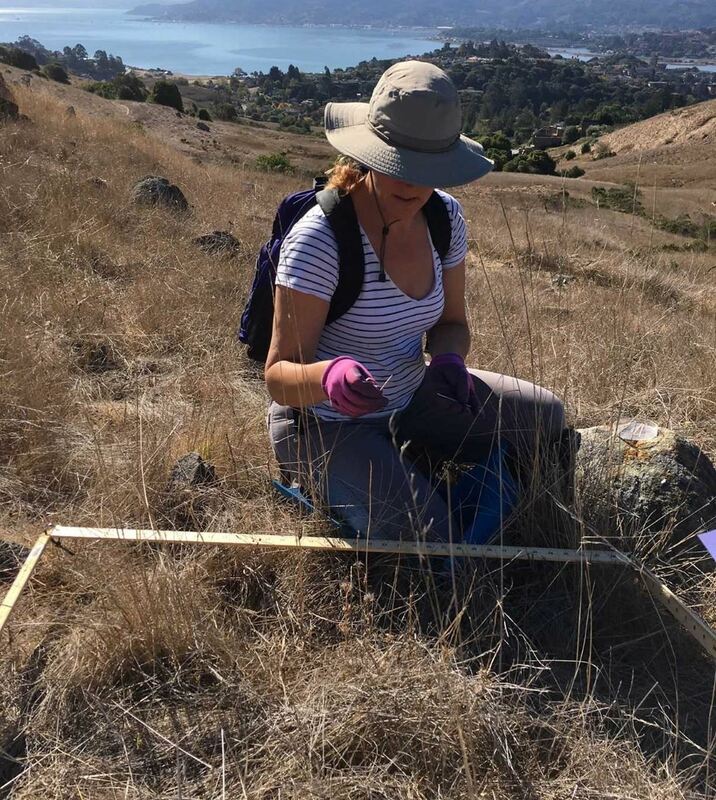 Andrea Williams – Vegetation Ecologist for Marin Municipal Water District. CNGA board member. Emily Allen – Restoration and botanical consultant based in Ukiah, Mendocino County. CNGA board member. Download and share the workshop flyer.